Power surges and lightning strikes are not the only things that can damage your home workshop equipment. Simply switching your workshop tools on and off can create electrical imbalances that could cause cumulative, permanent damage to your valuable equipment. 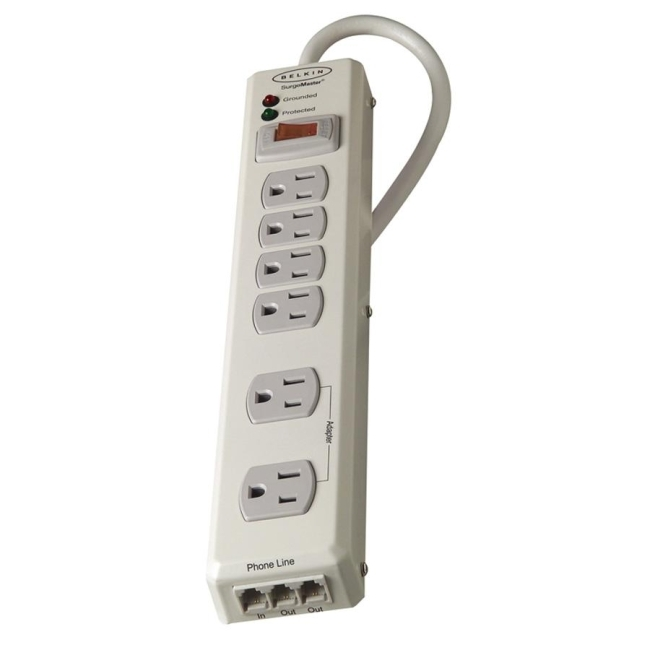 Metal Surge Protector features six grounded outlets and a 6' cord. Ideal for workshop and other electronic devices.